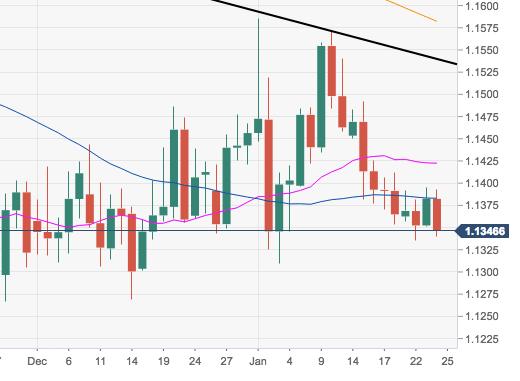 After testing lows near 1.1330 earlier in the week, EUR/USD has attempted a rebound that so far met a tough resistance in the 1.1400 neighbourhood. The pair needs to surpass the 1.1400 area on a convincing fashion to open the door for a revisit to 1.1500 the figure and beyond. On the other hand, while the short-term resistance line – today at 1.1539 – continues to cap the upside, there is scope for the pair to once again test the area of YTD lows in the boundaries of 1.1300.